Welcome to The Brí Foundation. 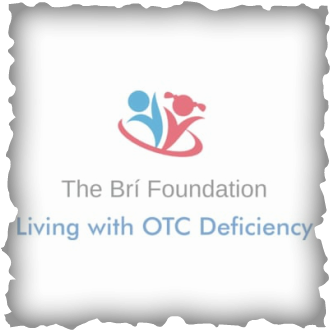 We are a 501(c)3 Non-profit organization, whose mission is to increase awareness and provide support for families or individuals, who are dealing with the rare disease, Ornithine Transcarbamylase Deficiency (OTCD). We join you in the fight to manage; and in the search to ultimately, cure this rare condition. Please feel free to explore our website for more information about the disease; and contact us with any questions.